Oh, dear. 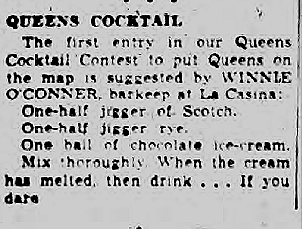 I might be willing to try the citrus and brandy combo, but whiskey and melted chocolate ice cream? No, no, no. 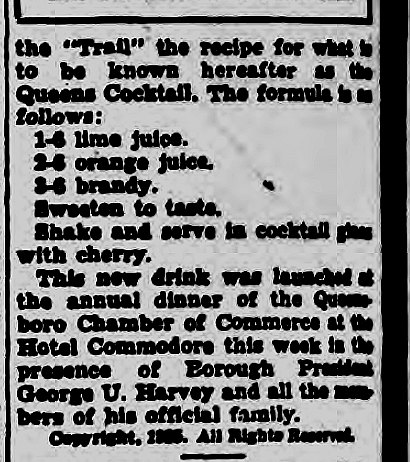 And it just occurred to me that Staten Island’s cocktail might have been called a Richmond cocktail, which I believe is the borough’s official name.